I trained as a counsellor at the Metanoia Institute, counselled for a while at a GP surgery and then took a placement at Off The Record in 1996. I enjoyed the challenge of counselling young people, where there is a need to be real and down-to-earth. I was a volunteer counsellor here for seven years, including a counselling post at Grey Court School. I was also practising as a sculptor, working mainly in clay and I enjoyed these different pursuits. In 2004 I became the manager of Off The Record, taking on many different roles as is typical within small charities, from fundraising to strategic planning to admin. I also continue to value my role as manager, supporting 23 volunteer staff and a small paid team to work at their optimum; this is as vital for a successful service as is meeting all our practical requirements. I qualified in 2006, working as a counsellor in both a medical practice and at Off The Record. I enjoyed working with such a variety of age groups but particularly enjoyed my work with young people. This became my focus when after a break I returned to Off The Record in 2013. I feel really lucky to enjoy my work here as a counsellor and more recently in the Assistant Manager role. Off the Record provides an invaluable service, being a part of that is rewarding on so many levels. Following a long career working in web design, I started training as a counsellor in 2012 and joined Off The Record as a counsellor in 2017. In addition to counselling I now also support OTR with front-line enquiries, communications, and office management, and anything else that comes my way. I joined Off The Record in August 2018 to help the office team with their financial reporting and management. I work closely with the Chair and the Hon. Treasurer in reporting to the Board. The experience I am gaining at Off The Record is a great help towards completing my book-keeping and accountancy studies. Off The Record has 26 years of experience in providing youth counselling and support to 11-24 year olds. We place a high emphasis on our counsellors’ personal suitability to work with young people – and include young people on our recruitment panels to ensure this. The counsellor team have the skills and capacity to work very flexibly, offering individual and family support, skills development along with psychotherapeutic and imaginative approaches, including play and art. Trustees serve on the governing body and are responsible for the general control and management of the administration of OTR. Our trustees come from all walks of life, and are united by their wish to create positive change to the lives of young people. Sophie has over twenty years of experience working as a senior manager in the not-for-profit/charity sector leading the strategic development, implementation and evaluation of national and local programmes with a specific focus on vulnerable young people. Sophie has a longstanding association with Off The Record as a member of staff between 1985 and 2004 and more recently as a trustee and now Chair of the Board. Sarah has worked in the charity sector for many years. She is a former Chair of Richmond Council for Voluntary Service and the South London CVS Partnership and is currently a Trustee of the Suzy Lamplugh Trust and Chair of the HSE’s Partnership on Work-related Violence. Kirstie (CGMA) studied business and accounting at Edinburgh university. She qualified as an accountant having trained in industry with the Economist Group and Gaucho restaurants. Kirstie now works at Jigsaw as senior finance manger and lives in Richmond. Cath has been a counsellor for over 20 years, working mostly in the NHS, in a GP’s surgery, and also privately. She joined Off The Record in the summer of 1992. Cath was a volunteer counsellor at Church Street for a few years, then for 10 years at Clarendon school. She has been a member of the Management Committee and became a trustee about eight years ago. Cath has lived, in the same house, in Mortlake for 42 years, have a partner, four children, seven grand-children and four cats. Biddy came to the UK from the USA in 1973 to train as a veterinary nurse. 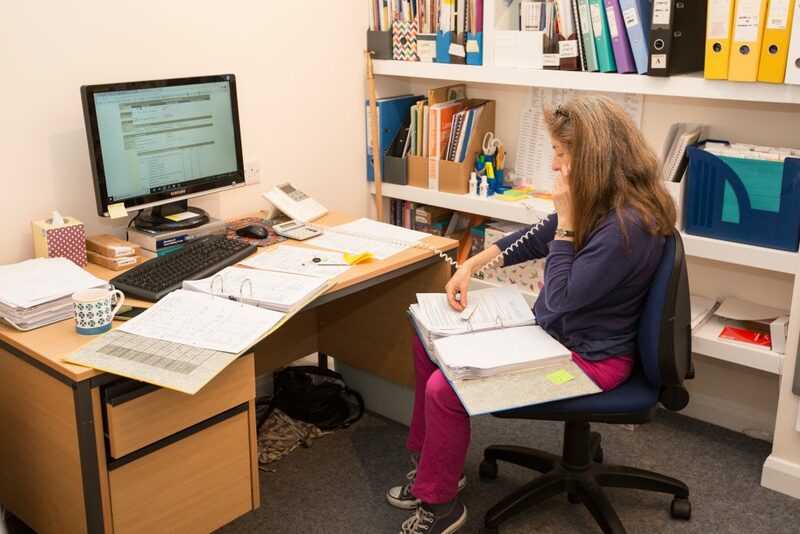 She began her counselling training in 1998 and came to Off The Record as her first placement during training, and has been associated with the charity since then, working as a volunteer counsellor at Off The Record for 15 years, seven of those also at Sheen School. Biddy has served as counsellor representative on the Management Committee and more recently as Trustee. Phil has over 25 years in the media industry. He worked on many blockbuster documentary series such as Walking in Dinosaurs and Planet Earth in production management roles – managing the budgets, logistics and teams to ensure the programmes successfully got to screen on time, to spec and budget. Currently running his own technology consultancy, he has two teenage children and lives in Ealing. Benedict has a long career in investment banking and in 2013 he began to participate in local politics, elected councillor of Twickenham Riverside. In January 2017 he joined the charity as a trustee. In April of the same year he was asked to take up the post of Deputy Mayor of the London Borough of Richmond, and during his term he was instrumental in persuading the mayor to pick Off The Record as one of her charities. Grania worked in the Publishing and Events industries before becoming qualified as an independent HR Consultant. She established her own company in 2005, providing HR outsourced support to a wide range of organisations across numerous industry sectors.